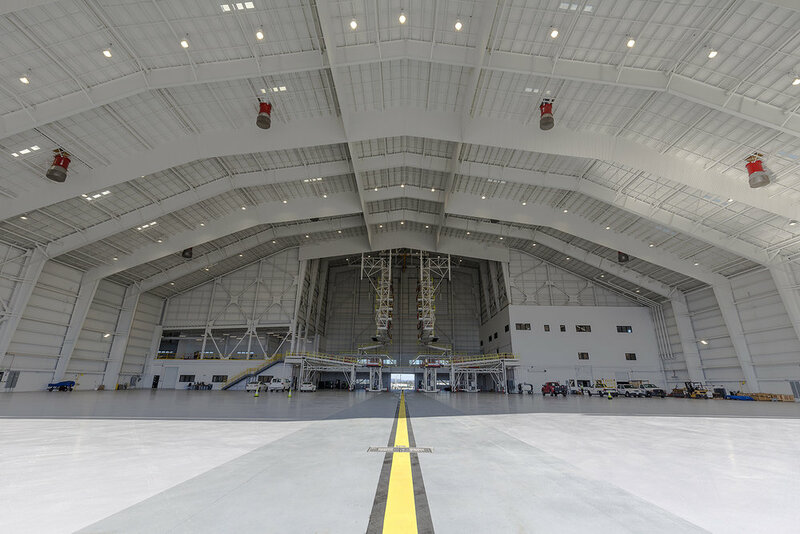 The largest A380 maintenance hangar in the U.S.
With capacity to carry up to 853 passengers, the world’s largest commercial aircraft flying today is the double-deck A380 at approximately 80 feet tall, 265 feet wide and 240 feet long. 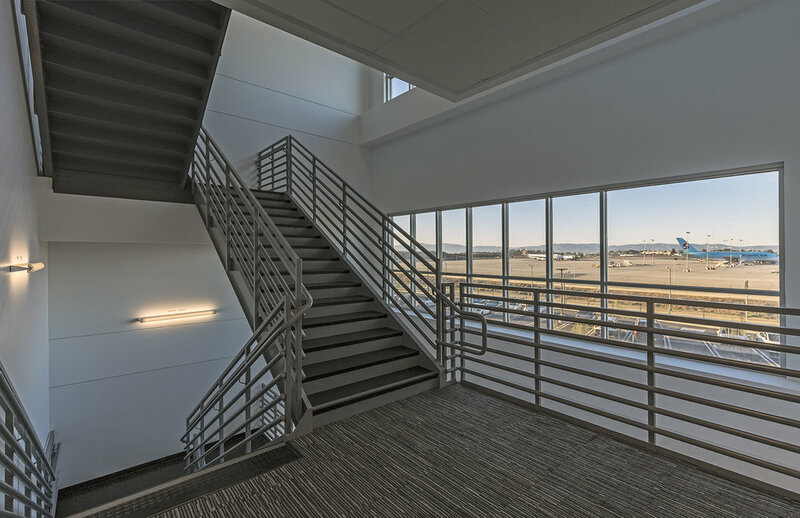 While the A380 presents an ideal solution to alleviate traffic congestion at swarming airports and maximize profitability on the busiest routes, the sheer size of this plane has caused airports to rethink and reconfigure their facilities in order to accommodate it. 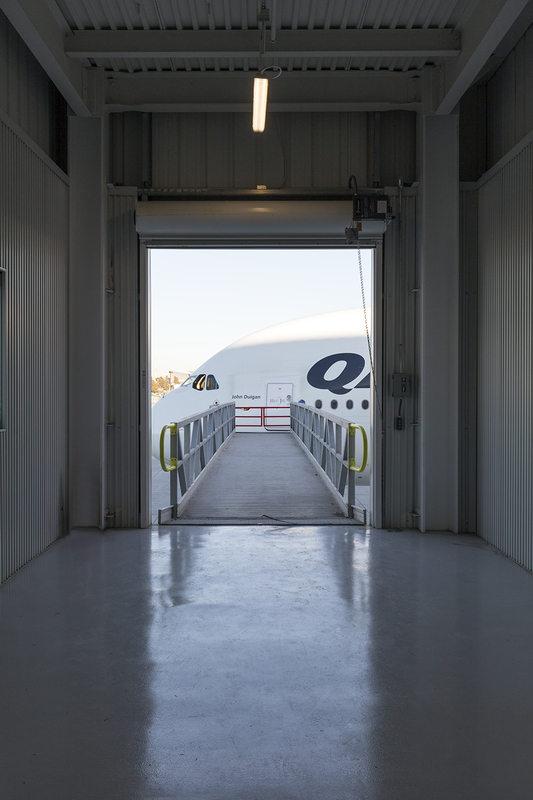 In a sign of confidence regarding its A380 operations, Qantas has signed a 20-year lease for a new maintenance facility at the Los Angeles International Airport (LAX). 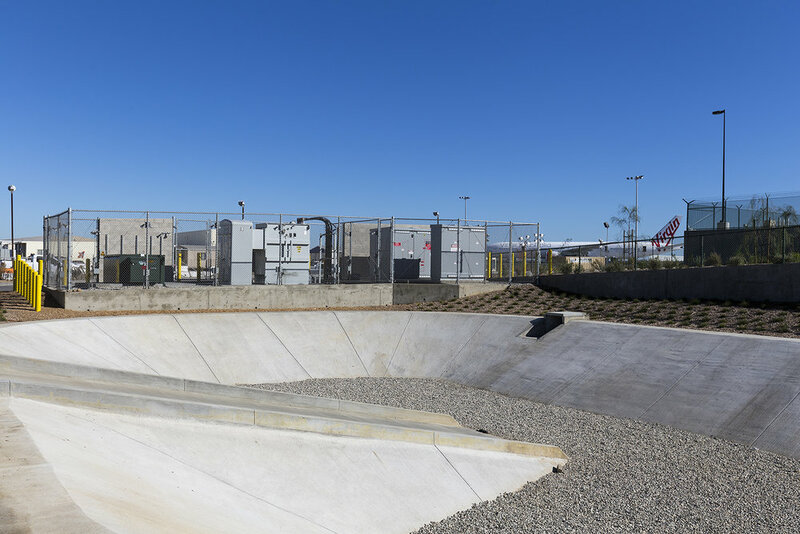 “It will make LAX the premier centre for A380 maintenance in North America...” says Debbie Bowers, the Los Angeles World Airports deputy executive director for commercial development. 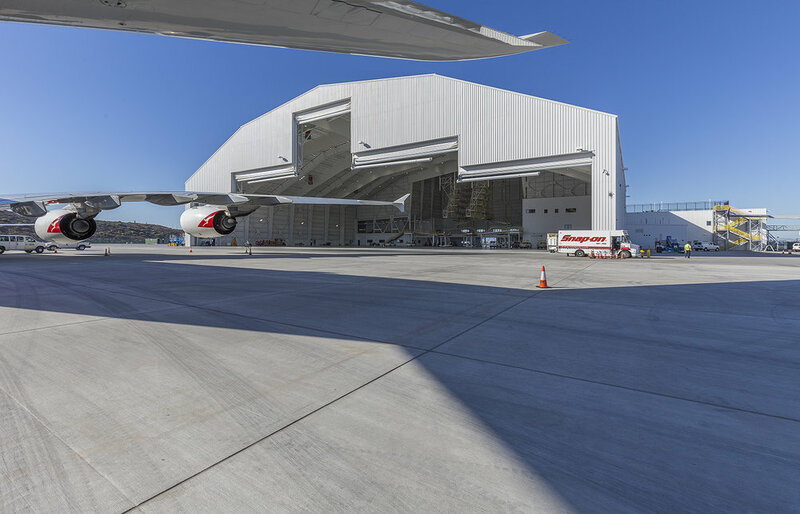 Qantas’s current maintenance hangar at LAX, known as the old TWA hangar, started demolition in January 2016 to make room for a dual A380 taxi lane as part of improvements to the airport. 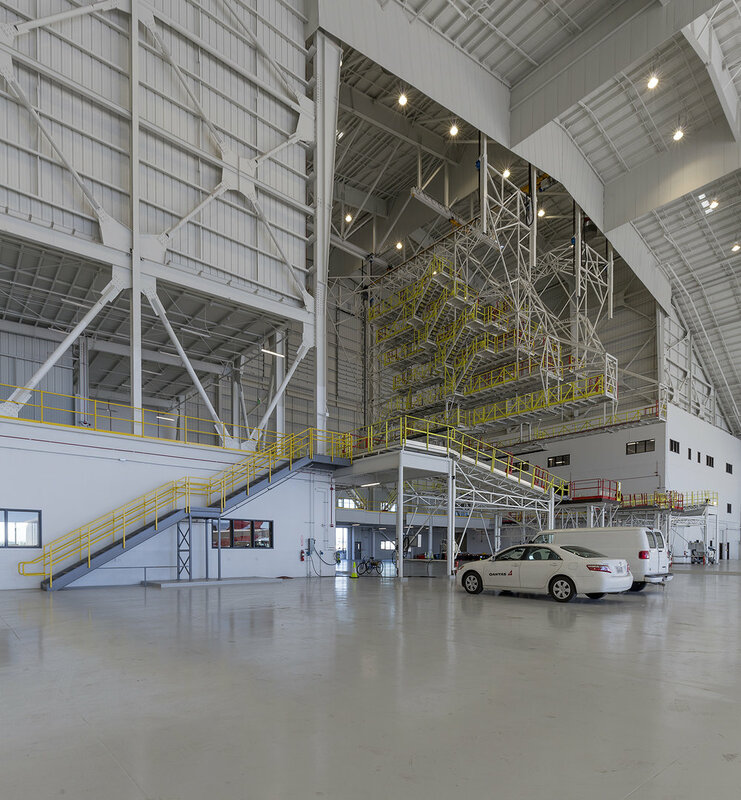 Constructed in its place is a new $70M dollar Qantas facility large enough to accommodate the A380. 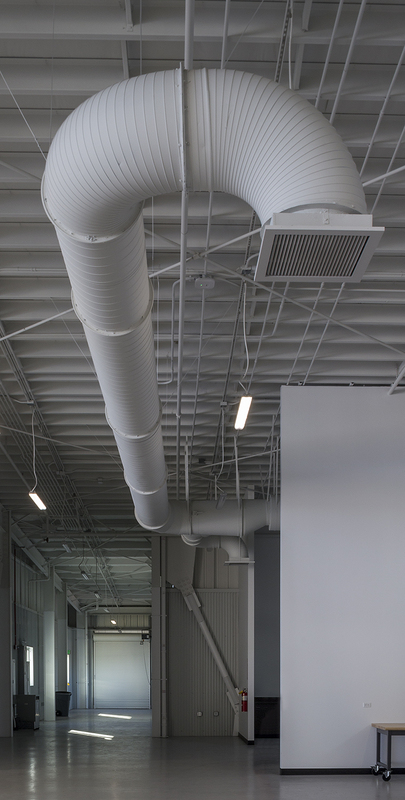 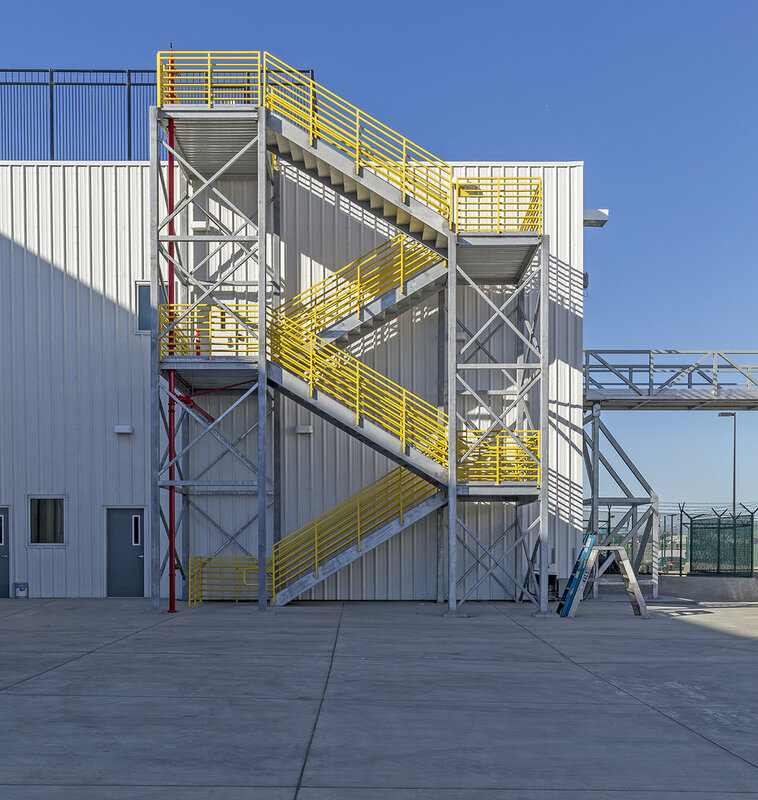 Design West Engineering provided complete MEP design for the 86,000 square foot, 105 foot tall hangar building as well as the surrounding support areas which includes a 64,000 square foot shop facility and 13,000 square feet of office. 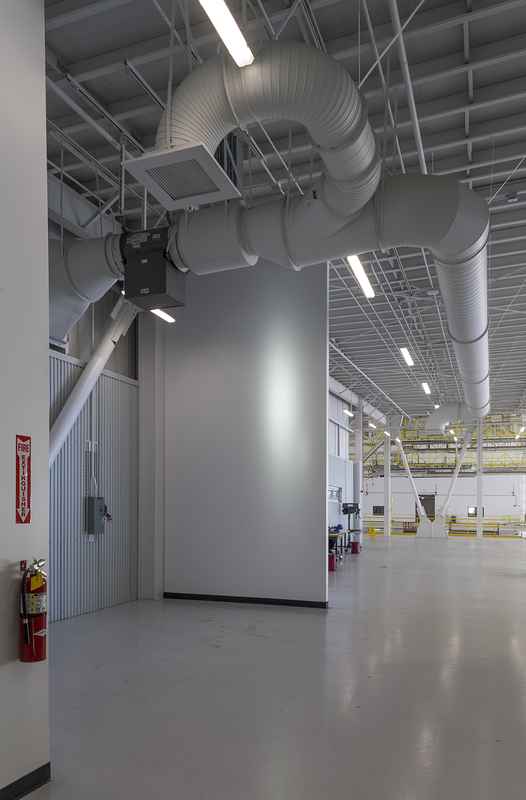 MEP design included full interior improvements, 125 kW backup emergency power generator system, and design of a 4160V service.